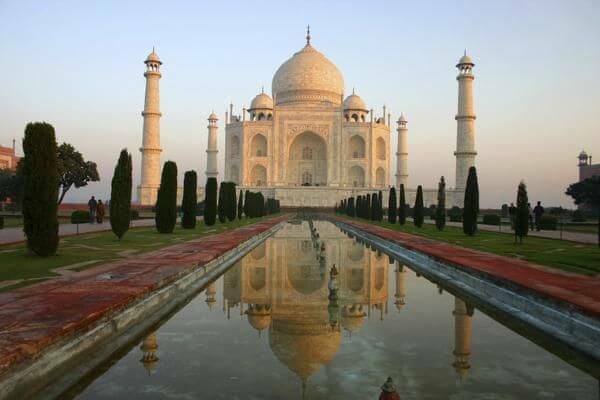 WOW Air Will Soon Fly to India, Earn 10,000 AMEX Membership Rewards Points With This AMEX Offer, and More! Joseph: Here’s a quick round-up of today’s miles & points news! 1. Fly to Delhi on WOW Air Later This Year! Beginning December 6, 2018, WOW Air will begin flying to Delhi, India! That’s great news for folks looking for cheap tickets to Asia. We don’t know how cheap the fares will be yet, but they could be reasonable enough to save your valuable points for destinations that are more expensive to reach. WOW Air plans to operate 3 flights per week from Iceland to Delhi. And increase to 5 times per week in early 2019. Remember, every WOW Air flight routes through Iceland. So if you buy a ticket from the US to Delhi, you’re guaranteed to have a stop in Iceland. I flew WOW Air last week for the first time and thought it was very sufficient. It’s a no-frills low-cost airline, so you’ll have to pay extra if you want to choose your own seat, or bring carry-on luggage. So calculate for all the “hidden” fees before you buy a ticket! AMEX Offers are an easy way to save on purchases you might make anyway. Just add the offers to your AMEX card and use that card for your spending! AMEX Offers are targeted, so sign-in to your American Express online account to see which deals you qualify for. There’s a new AMEX Offer for 10,000 AMEX Membership Rewards points (or $100 back) when you spend $600+ on a prepaid hotel through the AMEX Travel Portal. You must use the offer by July 15, 2018. 10,000 AMEX Membership Rewards points can be very valuable. Because you can transfer them to handy airlines, like Delta! 10,000 Delta miles is enough for a one-way coach flight from San Diego to Seattle. Let me know if you’re targeted! Last week we told you that Alaska Airlines and American Airlines are giving folks bonus miles for spending through their shopping portals. Now, through May 24, 2018, United Airlines is offering 500 bonus miles when you spend $200+. Plus, you can earn an extra 100 miles when you spend $50+ at Kohl’s or eBags. Or 200 miles for spending at both! This is a good opportunity if you can spend $200+ through the shopping portal that you would have made anyway. And remember, these bonuses are in addition to the bonus miles you’re already earning for using the shopping portal. Before you jump on this deal, check Cashback Monitor and Evreward to be sure you’re getting the highest return for your money.